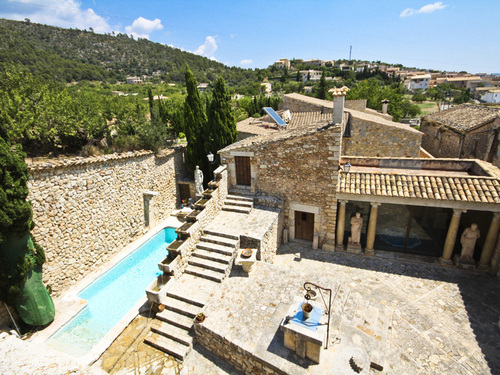 One of my old bosses used to call me Mallorca. I’m a fan of nicknames: Sledge, Champ, and Red just to name a few, but I was kind of indifferent towards this one. 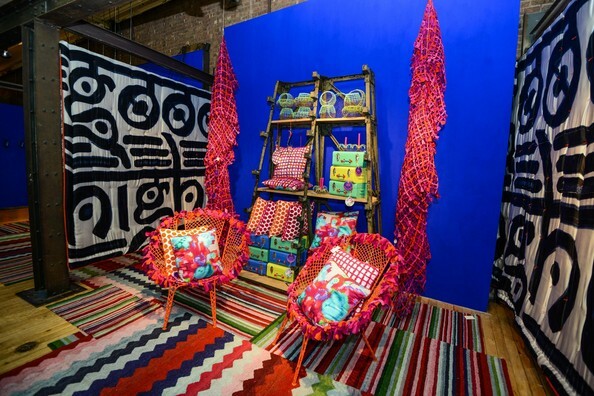 That all changed this week when I was introduced to Paola Navone’s stellar collection for Crate & Barrel, which just so happens to be inspired by this very island. Yes, geography was admittedly not my strong suit in school and no, I had never done my homework on this GORGEOUS island until now. 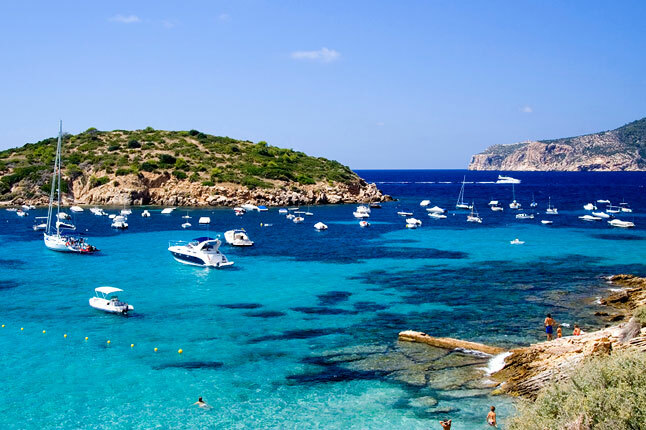 Thanks to my quick Googling I’ve come to realize that I should have taken the nickname as a serious compliment; Mallorca is absolutely stunning and has earned itself a stellar position on my list of places I have to visit some day. But back to Paola. 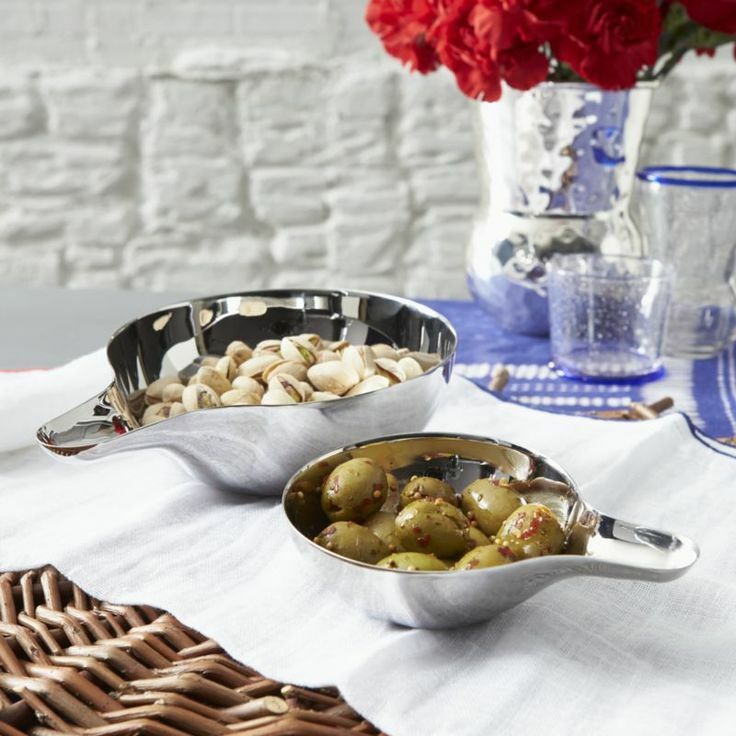 She’s a world-renowned architect, decorator, artist and world traveler who was inspired by Mallorca, along with Como and the French Riviera for this casual yet chic collection of dinnerware, table linens, decoration and furniture. 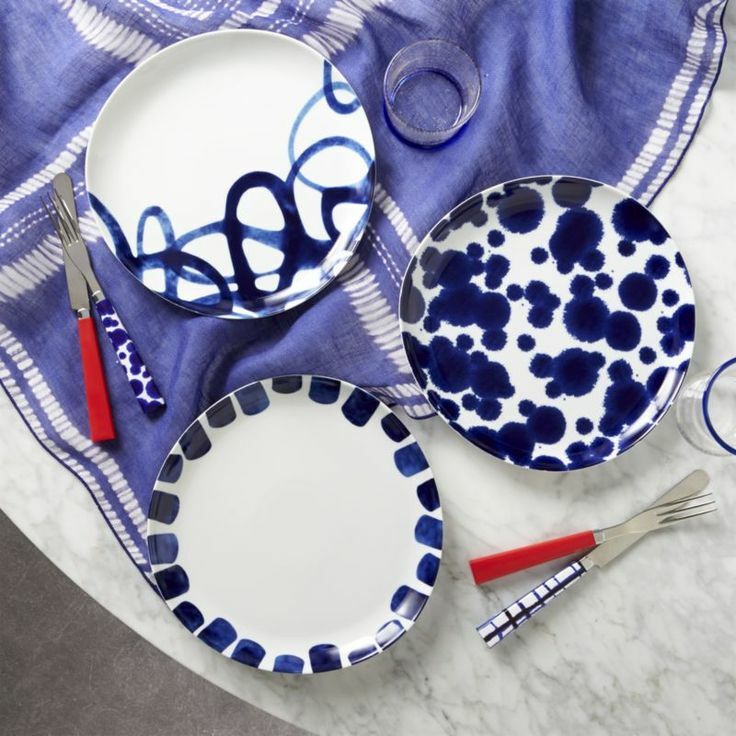 Starting with her Como Dinner Plates, the deep cobalt blues and organic designs really exemplify what this collection is all about. Their only purpose in life is clearly to be used for a fabulous al fresco dining over bottles of excellent wine. And what is a great dinner party without some hors d’oeuvre? What better way to show off these little bites than in the Como Spoon Bowls? But I’m getting ahead of myself. Let’s begin with setting the table. 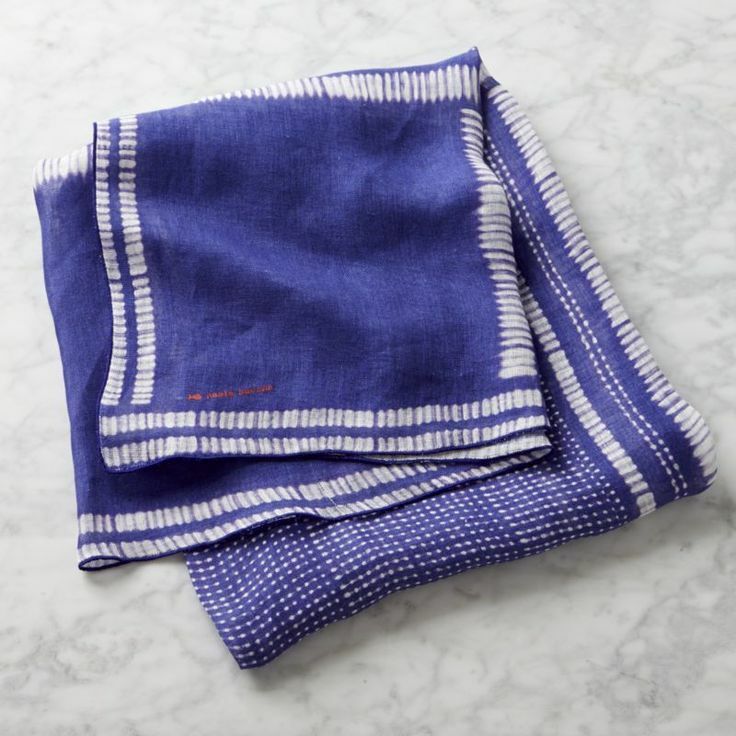 As a base, I’d start with the Como Gauze Linen Tablecloth. 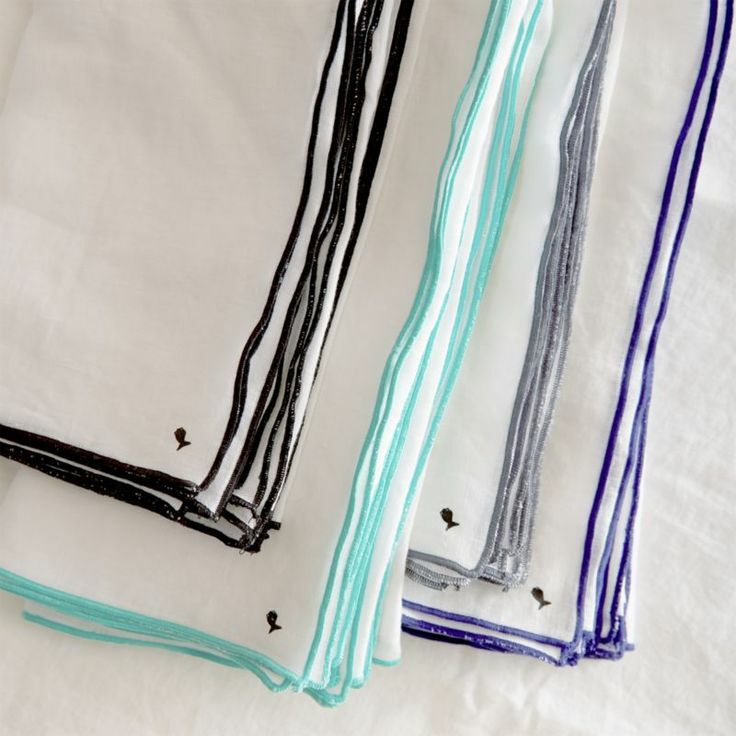 It’s light and airy while packing a serious punch of color. 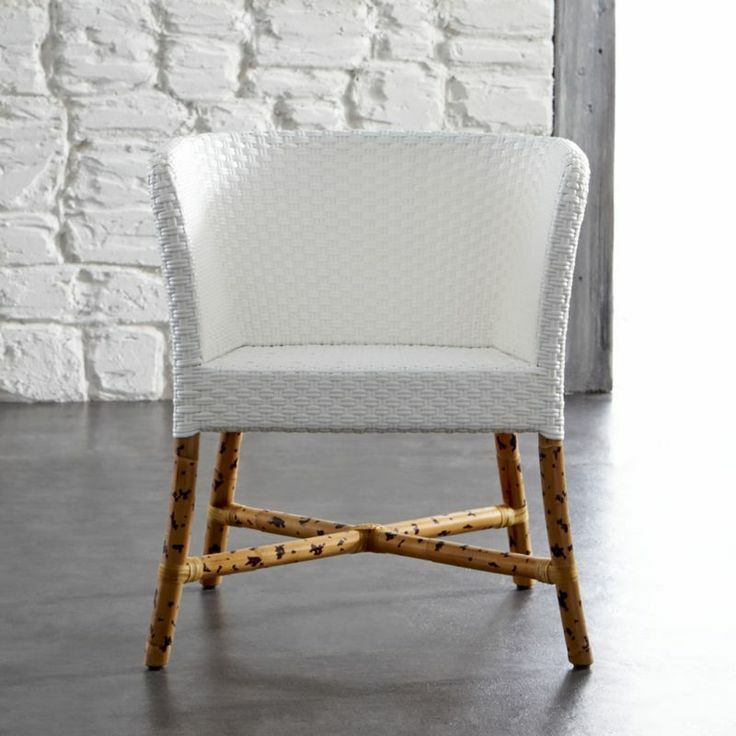 Then I’d pull a few of these Como White Woven Chairs up for my guests. 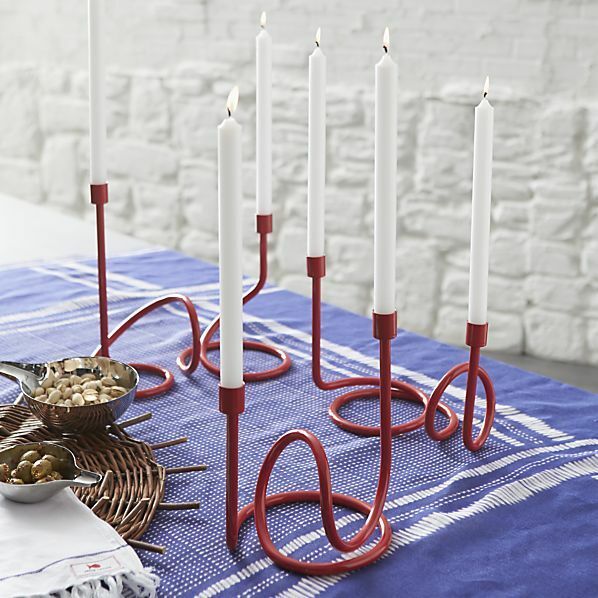 For a little ambience and an accent of red, I’d layer on the Como Loopy Candleholders. 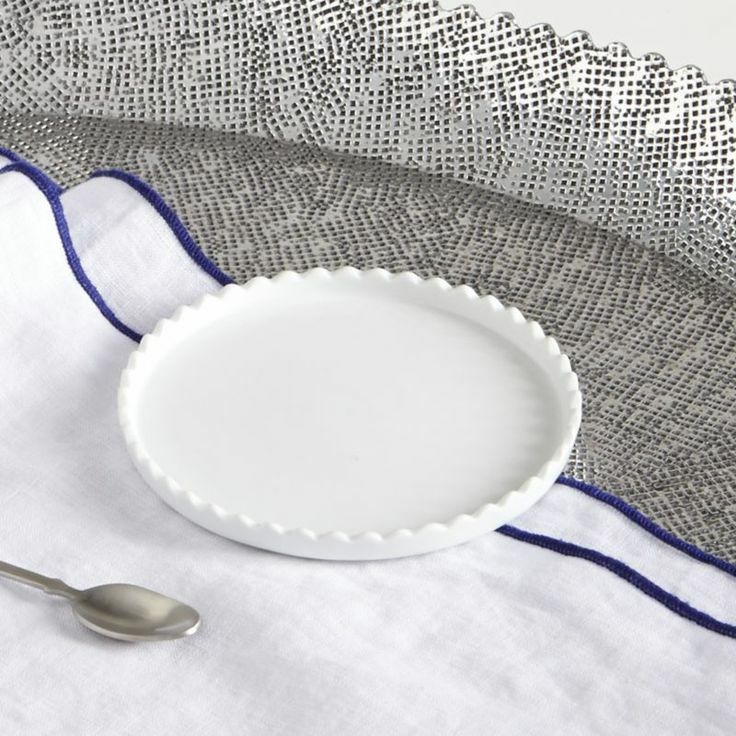 We already discussed using these great plates and I’d top them with a set of the Mallorca Linen Napkins. They have a range of colors, but I’d probably stick with the cobalt blue to keep the look seamless. 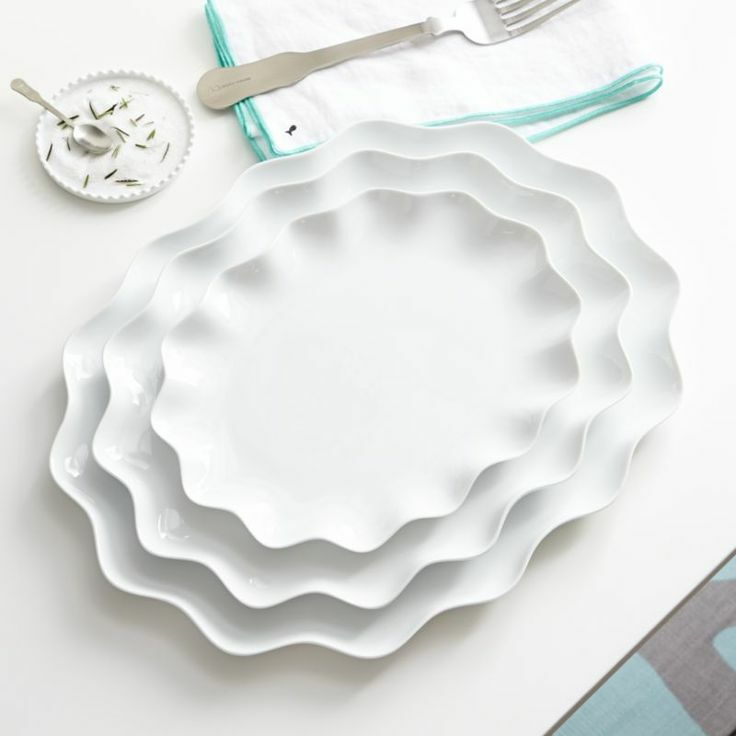 For serving, I’d lay out a full spread with the Mallorca Oval Platters. They’re so classy and simple and really could be integrated in to a variety decor styles. And I adore the look of the Riviera Long Serving Set. 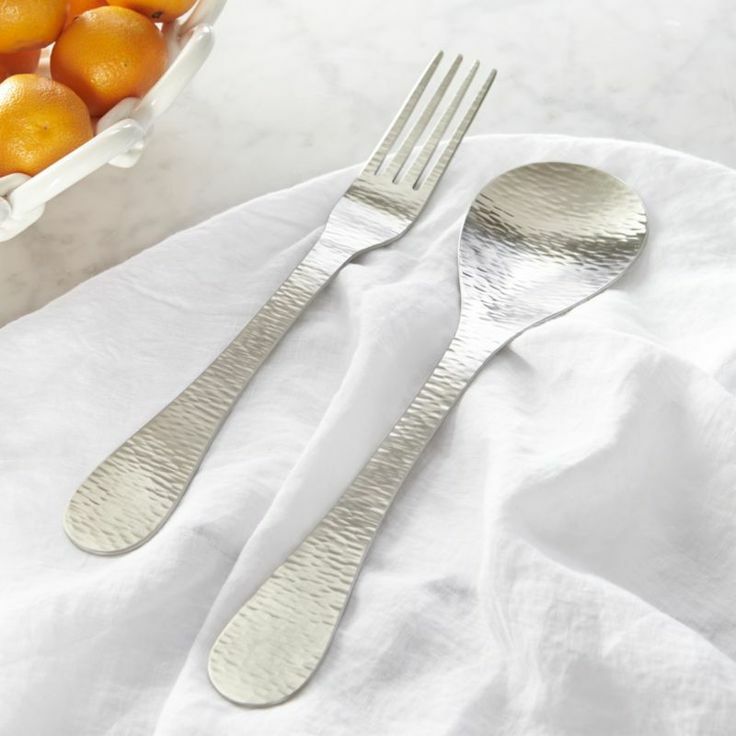 The pattern set within the silver reminds me of calm waves splashing on the beach. My imaginary dinner party is looking pretty good. 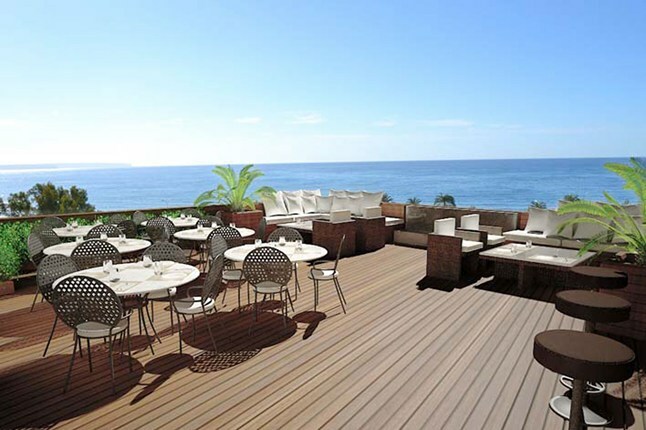 Now I just need a great patio with an ocean view…. Fabulous Mediterranean al fresco dining isn’t the only thing Paola’s collection has going for it. 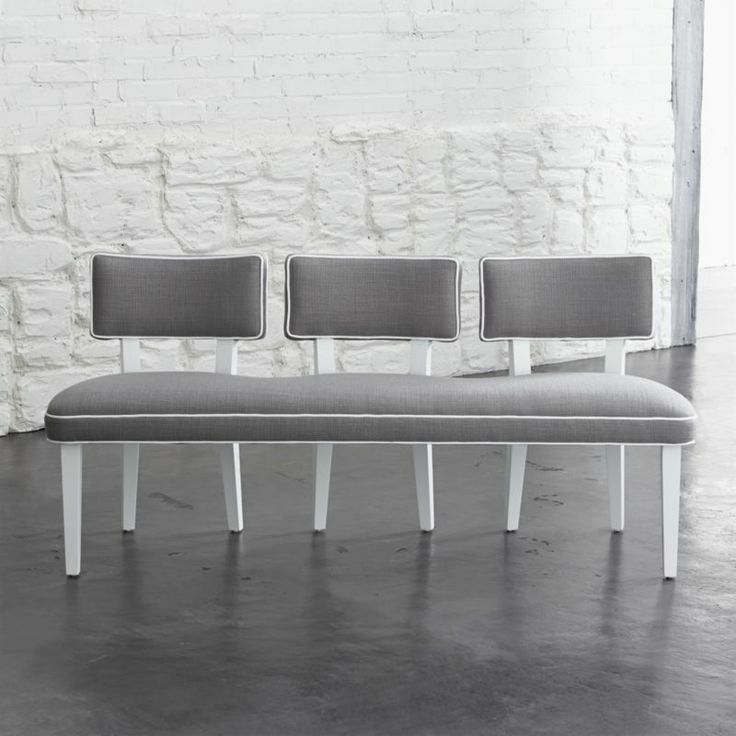 I’m totally enamored with this Como Bench. It could be an incredible accent for a living room in need of a neutral piece of seating or pulled up to a long dining table. It would serve as a stylish place to put on your shoes in a front entryway. And personally, I’ve had my eye on this Mallorca Saucer to use as a small tray on top of my dresser to collect perfume bottles. I think it will be the perfect companion to my West Elm Large White Lacquer Jewelry Box. Overall, I think it’s a great collaboration for Crate & Barrel. 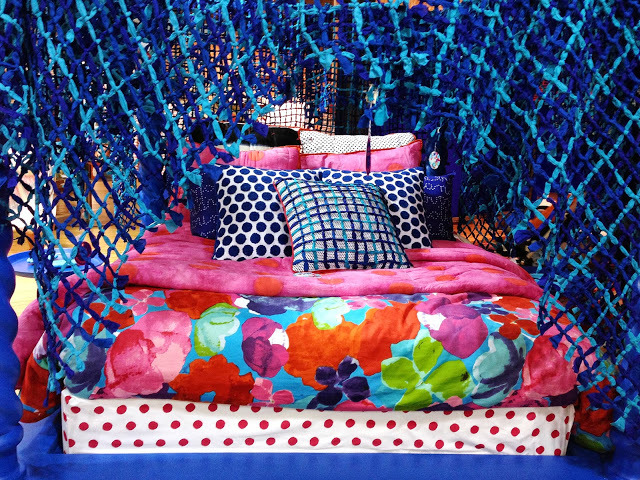 Paola Navone is on fire right now; she just did a VERY colorful 20-piece collection for Anthropologie this past spring. So what are all of you lusting after from Paola’s collection? I really would take the whole thing given the opportunity. It’s 110% my style. « My Favorite Day of the Week!